How is Greenpeace International governed? Here you can meet our Board of Directors, find out how our Management Team is structured, learn about our Open Information Policy, read our financials, and get a sense of how our organisational and campaign issues get agreed upon at annual meetings. The Greenpeace International Board (Stichting Greenpeace Council’s Board) normally consists of seven members. It is the guarantor of the integrity of the organisation and ensures adherence to internationally accepted good governance and financial management standards. It approves Greenpeace International’s budget and audited accounts, and appoints and supervises Greenpeace International’s executive directors. 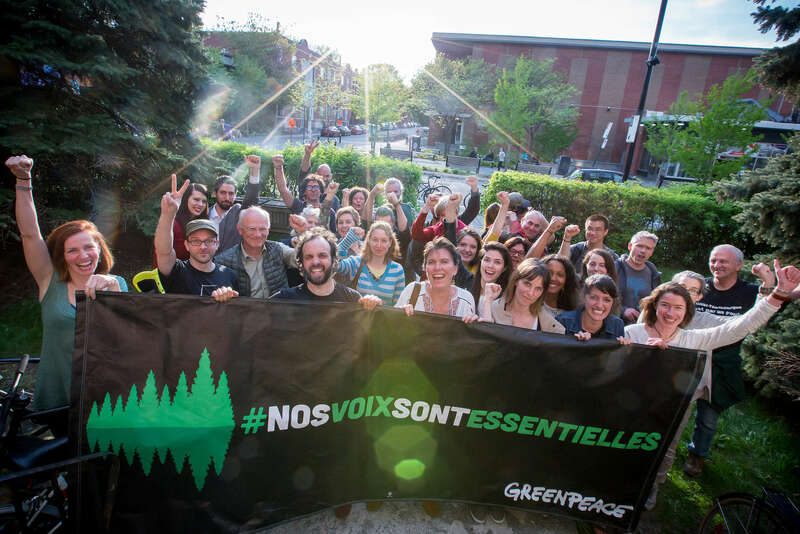 The Board is also responsible for decisions on wide-ranging strategic and high level campaign areas: deciding organisational policy; approving the global programme planning process; ratifying Annual General Meeting (AGM) decisions and granting the right to use the Greenpeace trademark to new Greenpeace NROs. The Chair and members of the Greenpeace International Board do not receive a salary, but their expenses are covered and they receive an attendance fee for time spent on board meetings. The compensation model is in compliance with Dutch tax law. Their annual compensation can be found in the financial statements and annual reports. International Board members are elected for a three-year period by Council at the AGM. All Board members can be re-elected; in practice the number of consecutive terms of office has consistently been limited to two. The International Board reports annually to Council during the AGM. Ayesha Imam is a rights and sustainable development consultant. She has worked with and for a range of organizations including women’s rights, official aid and UN agencies on women’s rights, gender-sensitive research and programming, democracy, sustainable development and organizational support and training. Ayesha was the chief executive of BAOBAB for Women’s Human Rights in Nigeria (which won the John Humphrey Human Rights Award for defence of women’s rights under the Sharia Penal Codes and helped secure acquittals for women and men sentenced to stoning to death); Head of the Culture, Gender and Human Rights Department of UNFPA; and coordinated several global research or capacity-building programmes. She has lectured and carried out research at universities and research institutes in Nigeria, the U.K., Canada and Senegal. 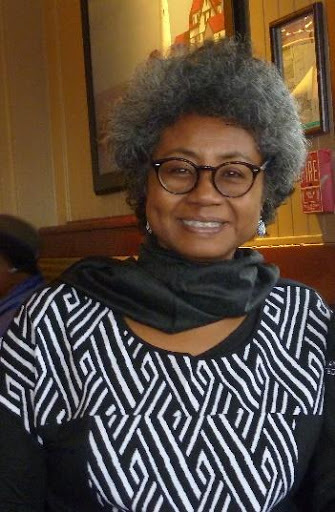 Her work is published widely for activist, policy, and academic uses, and includes books, journal articles, policy briefs and activist manuals. Ayesha has also served on the boards of: the Women Human Rights Defenders International Coalition (WHRDIC); the Women’s Environmental Development Organization (WEDO); the Council for the Development of Economic and Social Research in Africa (CODESRIA); the international solidarity network Women Living Under Muslim Laws (WLUML); the International Council for Human Rights Policy (ICHRP); Africa Action; and the African Centre for Democratic Governance. Ayesha was a member of the GPI Board for seven years (2006-2013). Ayesha has also been active on environmental issues through: the Women’s Environment and Development Organization (which won a UNEP award during the time she was on the Board), and the Gender CC (women for climate justice – a global network of organizations, experts and activists working for gender equality, women’s rights and climate justice). In addition, Ayesha has ensured that principles of environmental sustainability are brought to other platforms she is engaged with, like the Africa Democracy Forum and the African Feminist Forum. Ayesha has a doctorate in social anthropology from the University of Sussex (UK) and a Master’s degree in sociology from Ahmadu Bello University (Nigeria). She currently lives in Dakar and is married, with three sons and three grandchildren. Ed Harrington is currently an adjunct professor at the University of San Francisco, is a consultant on government finance issues and serves on various non-profit boards. He was General Manager of the San Francisco Public Utilities Commission (SFPUC) until his retirement in September 2012. The SFPUC provides water to 2.5 million customers in the San Francisco Bay Area along with sewer and stormwater services in San Francisco and hydroelectric and solar power generation for municipal purposes in the City. The SFPUC has 2,300 employees, an operating budget of $800 million and is in the middle of a $4.6 billion rebuild of the water system. During the 4 and 1/2 years that Ed was General Manager of the SFPUC, he was also the Chair of the Water Utility Climate Alliance composed of 10 large water utilities in the United States with 45 million customers, focused on providing leadership and collaboration on climate change issues affecting water utilities and the customers they serve. From 1991 to 2008, Ed was the Controller for the City and County of San Francisco managing the City’s budget, payroll, accounting and auditing programs. As Controller he started the City Services Auditor function which provides audit, performance management and strategic planning services to City Departments. In December 2012 he completed his term as a member of the Financial Accounting Foundation that oversees the work of the Financial and Governmental Accounting Standards Board for the United States where he co-chaired the Standard Setting Oversight committee and served on the Executive and Appointments and Evaluations Committees. Ed was on the Board of the Government Finance Officers Association of the United States and Canada from 1999 to 2006 and President of the organization in 2004. Ed received his license as a Certified Public Accountant while employed at KPMG, an international accounting firm, in the early 1980’s. Ed was an officer in the Harvey Milk Lesbian and Gay Democratic Club in San Francisco. He and his husband live in Sonoma County in Northern California. 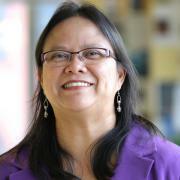 Athena is a passionate activist from the Philippines and currently based in Washington DC. Athena leads the development and implementation of the Asia Climate Finance strategy for the Growald Family Fund organization. Prior to joining the fund, Athena was Director of World Resource Institute’s Sustainable Finance program for 8 years. Athena has many years of leadership and management experience in environment, development and natural resource governance in developing countries with a particular focus on climate change, clean energy and sustainable finance. She worked actively on climate policy, sustainable finance and clean energy in China, India, Philippines, Indonesia, Thailand and Japan. She is a long-time policy advisor to the Philippine government’s official climate change negotiating team at the UN Framework Convention on Climate Change (UNFCCC). She has published widely on the issue of climate change, climate finance, clean energy, governance and human rights. Athena also holds strategic and leadership positions and serves on the board of several non-profit organizations such as the Institute for Climate and Sustainable Cities, International Rivers and, Greenpeace International. She holds post-graduate degrees in Development Planning from the University of the Philippines, in Development Management from the Asian Institute of Management, and a Bachelor’s degree in Communications and Journalism from the University of the Philippines. Michael Hammer is Director of ROCsalt, a network of independent researchers and consultants specialising in policy and reform of international organisations. Previously he served for three years as Director of INTRAC, an international non-governmental civil society strengthening organisation. From 2006 to 2013 he led not for profit global governance research group One World Trust, benchmarking global organisations’ accountability to citizens. Prior to that Michael worked as West Africa Programme Director for peacebuilding organisation Conciliation Resources, leading local peace-monitoring and youth reintegration projects in Sierra Leone and Liberia. From 2000 to 2005 he was with Amnesty International initially as West Africa Campaigner and Researcher, and then Africa Programme Director and Head of Office of the Secretary General. Earlier in his career, Michael worked in sustainability and regional planning for Germany based Institut Raum & Energie. Michael studied African history in Dakar, Senegal, and holds a research master’s degree in geography, history and urban planning from the University of Hamburg, Germany. He lived and worked in West Africa for several years, researching urban and rural land conflicts in the context of slum rehabilitation and environmental resource degradation. His main professional research and organisational development focus is on accountability, governance and effectiveness of international organisations involved in providing and advocating for access to global public goods, as well as institutional reform in response to climate change. His volunteer roots in international NGO work and advocacy lie with Amnesty International in Germany with whom he was active as a group member and country coordinator for the West African conflict zones in Liberia, Sierra Leone and Guinea from the early 1990s to 2000. He has served on a number of NGO and charity boards including from 2008 to 2014 as a Trustee of BOND, the UK development NGO network. Before joining the International Board of Greenpeace, he served for six years as a Board member of Greenpeace Germany, and as Trustee on the Greenpeace International Council since 2012. He chairs the organisation’s international governance committee since 2013. 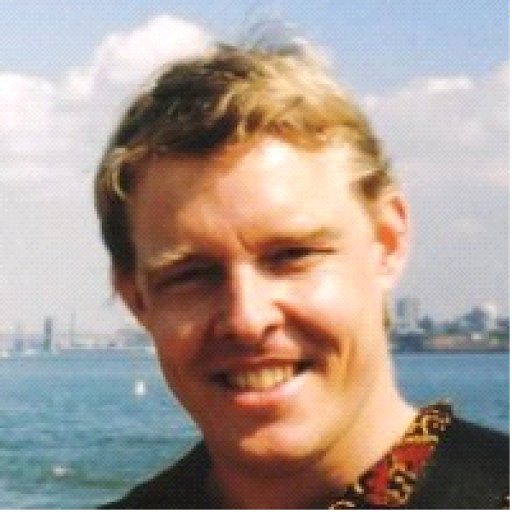 Michael lives in the UK, and speaks English, German, French and Dutch. He spends too much time in meetings and is happiest in the forest and at sea. Ms Thuli Brilliance Makama, a graduate of the University of Swaziland and the London School of Economics, is Advocate (Senior Counsel) of the High Court of Swaziland and Member of the Law Society of Swaziland. Combining law and advocacy, Thuli Makama has engaged in public interest environmental law challenges against powerful multinational corporations and her Government in defence of environmental and human rights of local communities. She has over seventeen years’ experience on governance in the not-for-profit sector, having served as Deputy Chair of the Open Society Initiative Southern Africa, Treasurer of IUCN World Conservation Union Eastern and Southern Africa board, Ombudsman of Friends of the Earth International, member of Coordinating Board of Friends of the Earth Africa, Trustee at groundWork – Friends of the Earth South Africa, Chair of the Coordinating Assembly of Non-Governmental Organisations in Swaziland, advisor to the Resident Coordinator of UN in Swaziland through the select Civil Society Advisory Committee, the Law Society of Swaziland Judicial Crisis Committee, amongst others. In 2010, Thuli Makama was awarded the Goldman Environmental Prize in recognition of her successfully litigating and defending the right to public participation in environmental decision making in her country, Swaziland. This recognition and honor Thuli dedicated to an on-going gruesome campaign against extra judicial executions of local communities in the name of wildlife conservation by one private family owned wildlife safari company in Swaziland. The public interest environmental actions of Thuli and her organisation have sometimes attracted brutal responses and backlash from violators that have led to break-in’s at the office premises and her home, and privately sponsored negative press releases in the media. Some of Thuli’s work is featured in the documentary film “Unfair Game – The Politics of Poaching” produced by Emmy Award winning Mill Valley Film Group and narrated by Robert Redford. 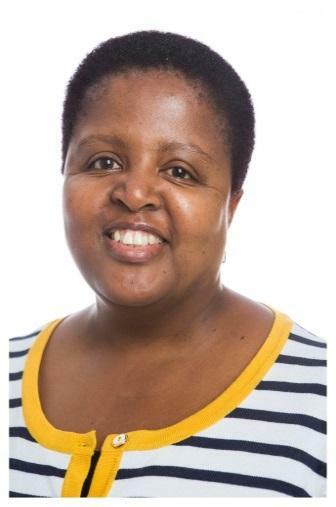 Thuli has for fifteen years worked in her country as Executive Director of Yonge Nawe Environmental Action Group, during which time she has participated in Africa wide and sub-regional collaborations on environmental and social justice. Her previous work experience includes Skillshare International and, serving as Deputy Master of the High Court of Swaziland. She is the founder of the Legal Assistance Center (LAC), a non-profit initiative that seeks to promote public interest law in a national context where violations of basic human rights and social injustice are perverse. The LAC works to enable access to justice for many of the socio-economically disadvantaged members of society. Thuli is mother to two beautiful loving daughters, Simphiwe and Nobunye. Ravi Rajan is a Professor of Environmental Studies at the University of California, Santa Cruz, where he has served since his appointment in 1997. He has served also a Visiting Senior Fellow at The Energy and Resources Institute (TERI), New Delhi, and Visiting Professor at TERI University. He received his undergraduate and masters degrees at the University of Delhi, and his doctorate at the University of Oxford. He subsequently conducted postdoctoral research at the University of California, Berkeley, Cornell University, and the Max Planck Institut für Wissenschaftsgeschichte, Berlin. 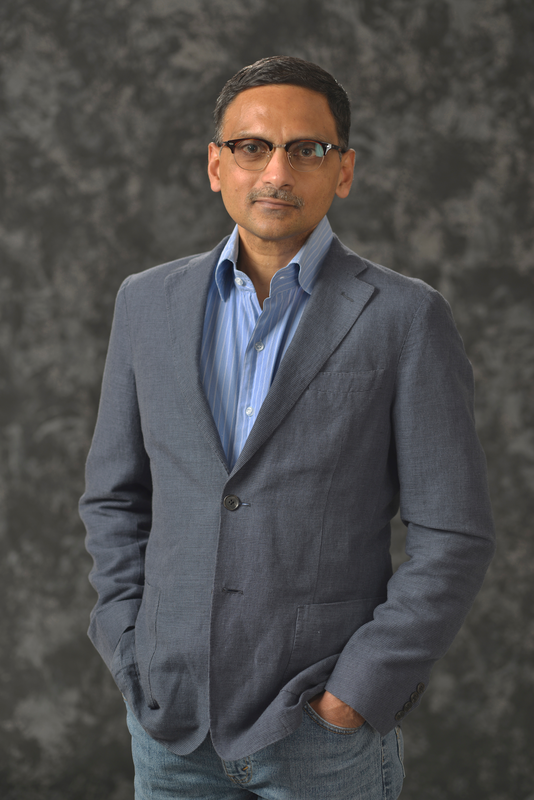 Ravi has three broad research interests: a) the political economy of environment – development conflicts; b) environmental human rights and environmental justice, and c) risk and disasters. He is the author of many academic publications, and has mentored several doctoral students. Ravi has also made significant contributions to higher education administration. As Provost of College Eight at UC Santa Cruz (2006-2012), he did pioneering work designing a “green” curriculum aimed at nurturing environmental entrepreneurs. Amongst the highlights were a novel three quarter freshman core course including a national award winning sustainability field practicum; a popular online learning and teaching portal based on the latest web based interactive technologies; and a series of programs aimed at forging environmental entrepreneurship amongst students. He has held several faculty leadership appointments at UC Santa Cruz, including terms on the Education Abroad Program Committee, the Committee on Planning and Budget, and the Committee on Educational Policy. He also contributed substantially to the reconceptualizing and redesign of the campus’s General Educational Requirements. Ravi has also been a significant presence in national and international academic institutions. 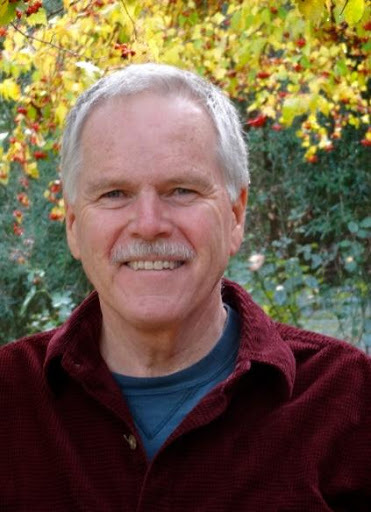 He has served as Chair of the Outreach Committee of the American Society for Environmental History, and on many of its committees in the past, including as the Program Chair for the Society’s Annual Meeting. He was a founding member of the editorial board of the journal, Environment and History, and currently serves on the editorial board of the journal, Environmental Justice, and of the book series of the European Society for Environmental History. He has served as a reviewer for the National Science Foundation (USA) and the Economic and Social Research Council (UK), as well as for a number of leading journals and publishers. His public service includes the Presidency of the Board of Directors of Pesticide Action Network, North America (PANNA); board service for the International Media Project, which produces the weekly radio news program, Making Contact; membership of the city of Santa Cruz’s Green Building Committee, which created the new building code for the city; and Charter Membership of The Indus Entrepreneurs (TiE), Silicon Valley, the world’s largest not for profit organization for entrepreneurs. Ravi is married and has three adorable children – a human and two feline. Sue Cooper joined the Board of Greenpeace International in August 2018 and took the role of treasurer from January 2019. 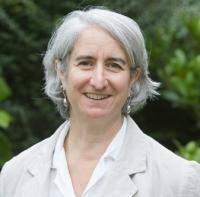 Previously, she served on the board of Greenpeace UK for eleven years, with over five years as the Board Chair. Sue is a semi-retired accountant and registered auditor, specialising in the charity and not-for-profit sector, a fellow of the Association of Chartered Certified Accountants and holds the Diploma in Charity Accounting issued by the Institute of Chartered Accountants (ICAEW). For over 25 years she was a principal at the accountancy firm Slade and Cooper in Manchester, England, which works with a wide range of organisations from the not-for-profit sector. Prior to her career as an accountant, Sue worked in the cultural sector; first in the music industry then as administrator for a multi-arts centre. She has a lifelong interest in music and has played in bands from punk to Klezmer. Sue has been a political activist all her life – taken on CND demos as a child she progressed to teenage involvement with Anti-apartheid, CND, Anti-Vietnam war activities, school student activism and the Women’s Liberation movement. Currently she is involved with her local Transition group in New Mills, north Derbyshire, England. The Greenpeace International Executive Director (IED) role is currently shared between two persons. They are responsible for the management of Greenpeace International (GPI) and manage the GPI Strategy and Management Team (SMT). The SMT reports to the IED. The Greenpeace International Development Director (IDD) works to keep the Greenpeace global network together and stronger, while helping ensure the growth and development of the individual NROs. The IDD also ensures the alignment and synergies between global and NRO strategies. The Greenpeace International Finance Director works to ensure GPI and Greenpeace globally are financially sound, in control, compliant, accountable and financially sustainable. The Greenpeace International People and Culture Director develops and oversees the implementation of the global Greenpeace People and Culture strategy, and oversees Global HR, Learning & Development, GPI People and Culture, Facilities and the Integrity Project. The Greenpeace International Operations Director provides leadership to the actions, ships and investigations units at GPI, to ensure campaigns are inspiring, engaging, and impactful. The Greenpeace International Programme Director (IPD) is responsible for the development of global Greenpeace programme strategies and their alignment across the network. The Greenpeace International Global Engagement Director works to ensure Greenpeace inspires, mobilises and engages millions of people to campaign alongside us and contribute to our campaigns and organisations globally. The International Executive Director and the Strategy and Management team are paid a salary that is commensurate with their level of responsibility. The annual remuneration of the IED as well as the SMT as a whole can be found in the financial statements and annual reports. Greenpeace International has adopted an Open Information Policy, which is designed to ensure we meet both legal requirements and best practice in the handling of information. It follows the principles of availability, integrity and confidentiality (in priority order), while at the same time safeguarding, from abuse or compromise, our supporters’, people’s, allies’ and partners’ and our own sensitive information. Here you can find our Annual reports and financial statements. High-level international organisational and campaign issues are agreed on at a number of annual international meetings. Each National/Regional Organisation (NRO) Board sends a representative (called a Trustee) to the Greenpeace International Annual General Meeting (AGM). Together, the Trustees make up the Council. To identify issues of strategic significance to be addressed by the organisation. These issues are annually debated and voted on by the Trustees at the AGM. The Global Leadership Team consists of normally seven NRO Executive Directors, selected by the International Executive Director to advise on a wide range of high level strategic issues, such as strategic development of the global network, major programme resources, global standards and evaluations and global programme coordination. The Executive Directors of all the NROs meet yearly with the Greenpeace International Executive Director. At these meetings, they aim for broad agreement on issues such as Greenpeace’s role in society; the long term global programme (The Framework) and planning process; and model organisational policies and procedures for the global network. The content on each subsection of greenpeace.org is published and managed by the relevant Greenpeace organisation. Pages whose address begins with http://www.greenpeace.org/international, for example, are under the editorial control of Greenpeace International. For questions, comments or other feedback, please contact the responsible Greenpeace organisation. You can generally see at the top of each page which organisation’s section you are on.